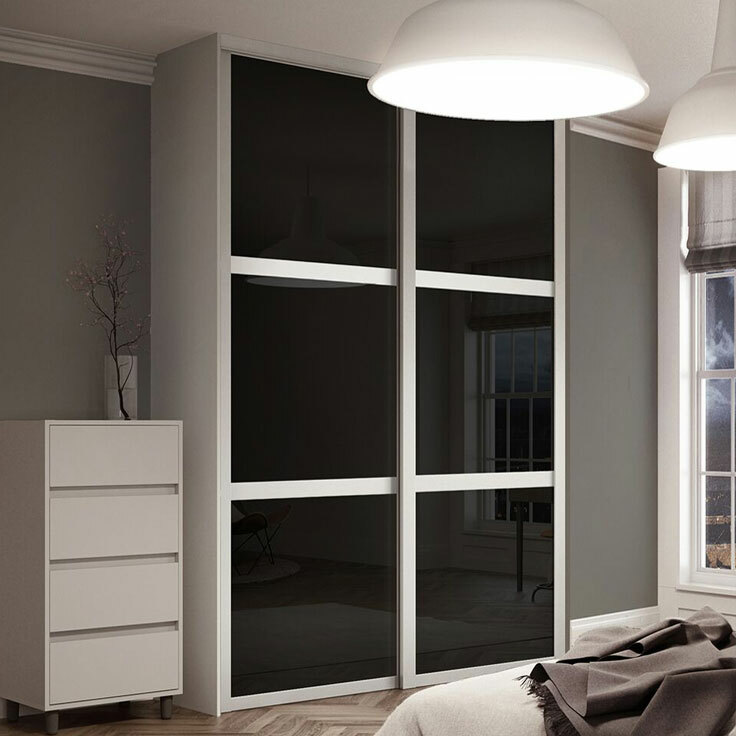 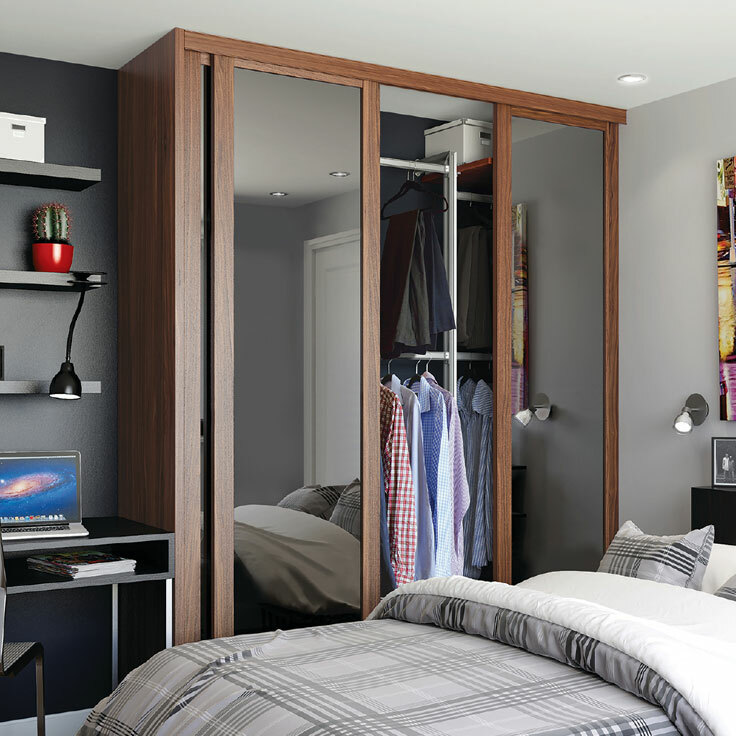 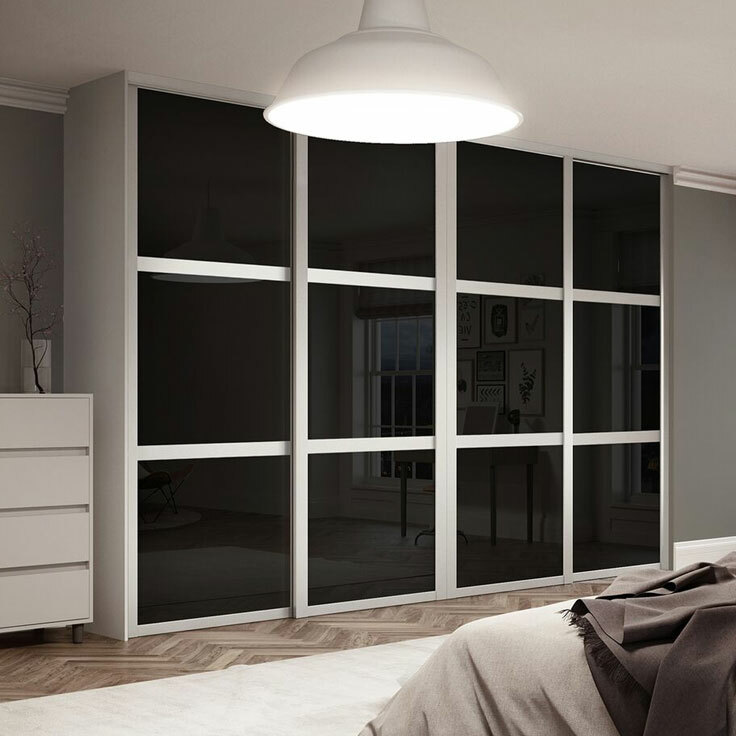 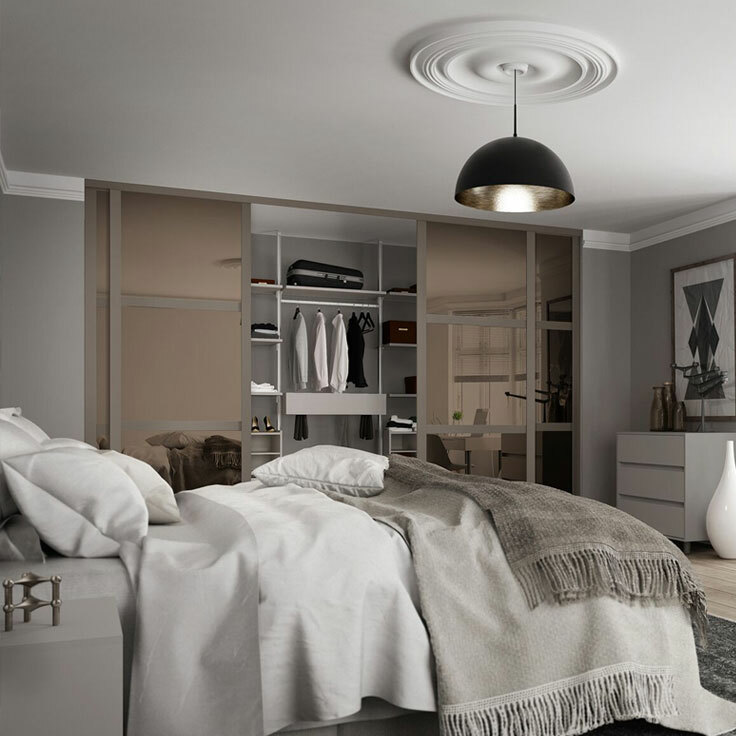 The Shaker style wardrobe offers a fusion of traditional styling with modern materials to create a stunning array of sliding door options. 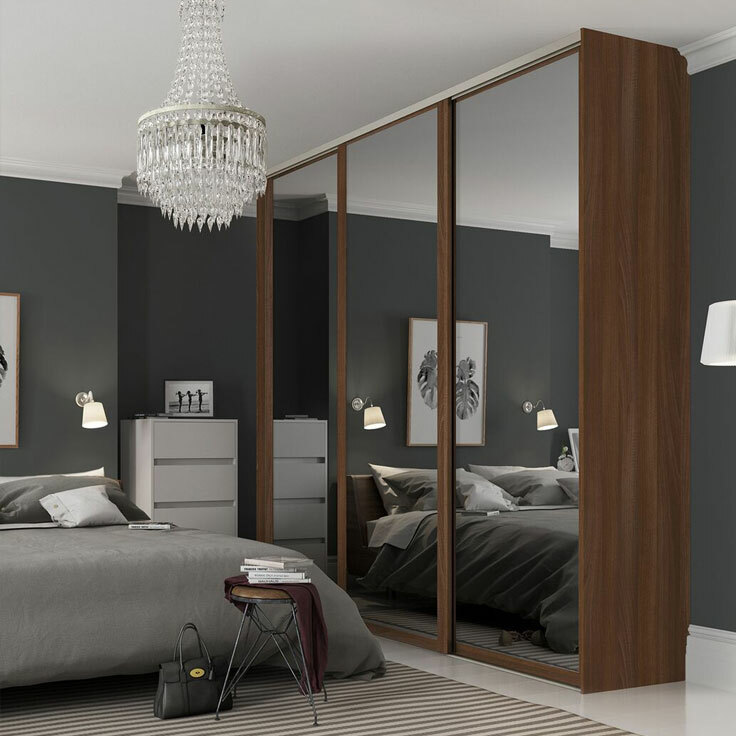 Choose from three woodgrain effect or two plain contemporary colour frames, designed to epitomise the classic shaker style. 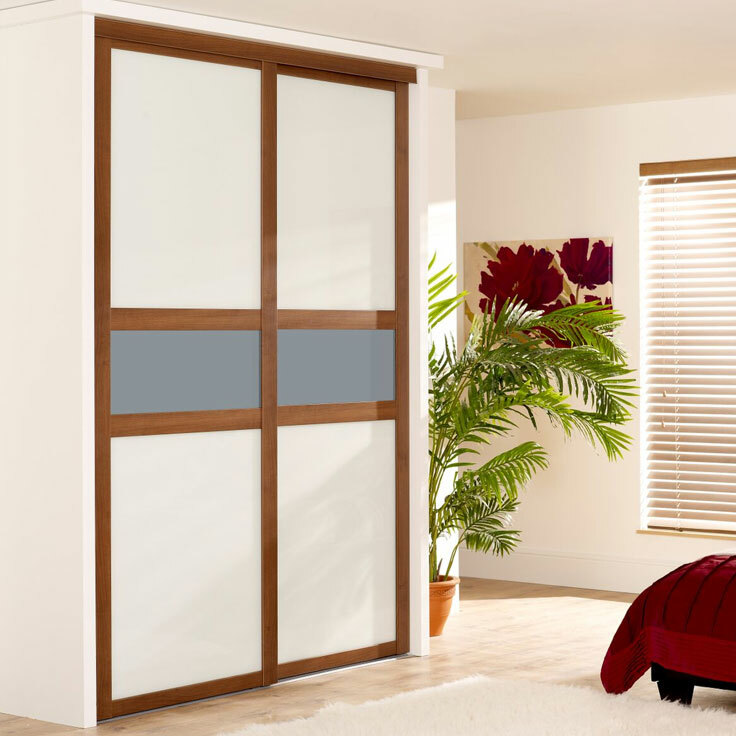 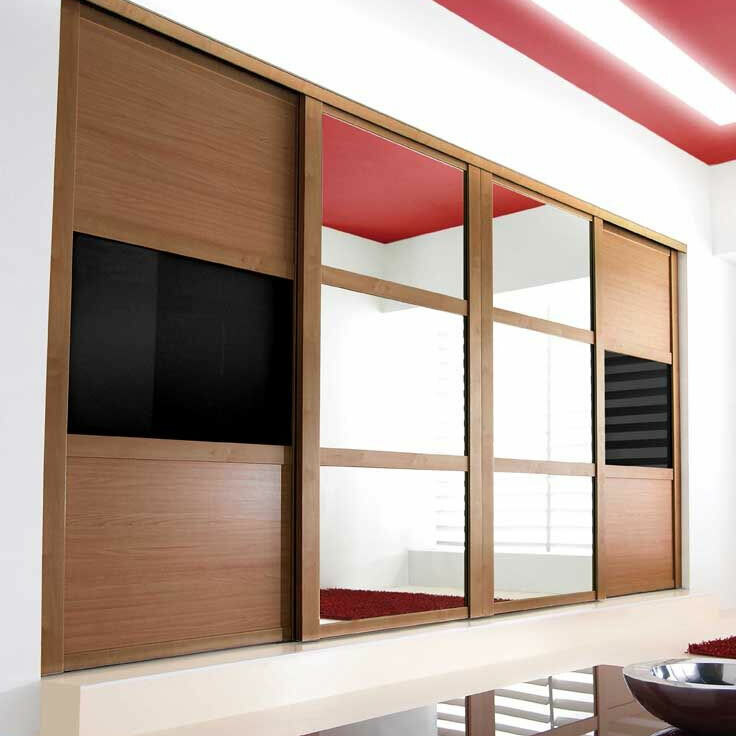 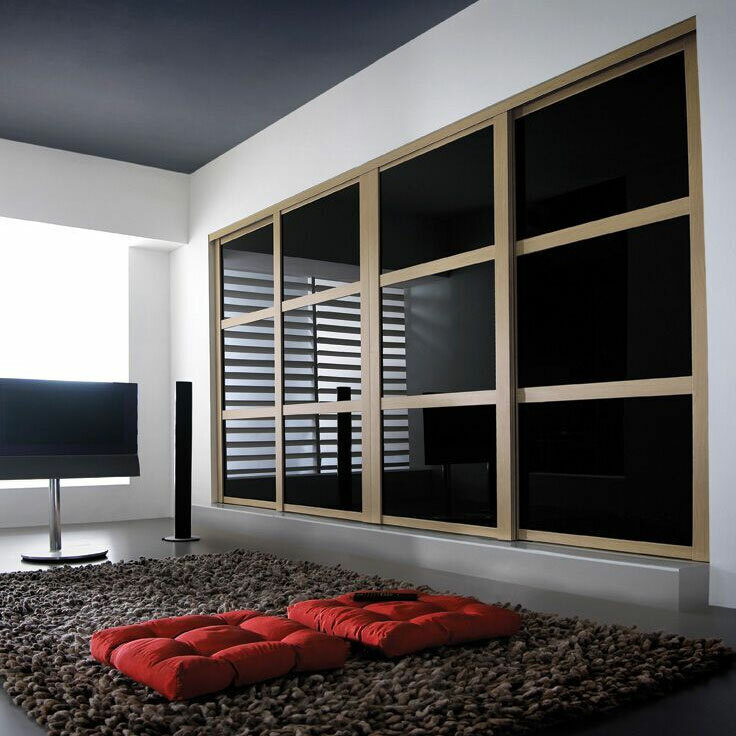 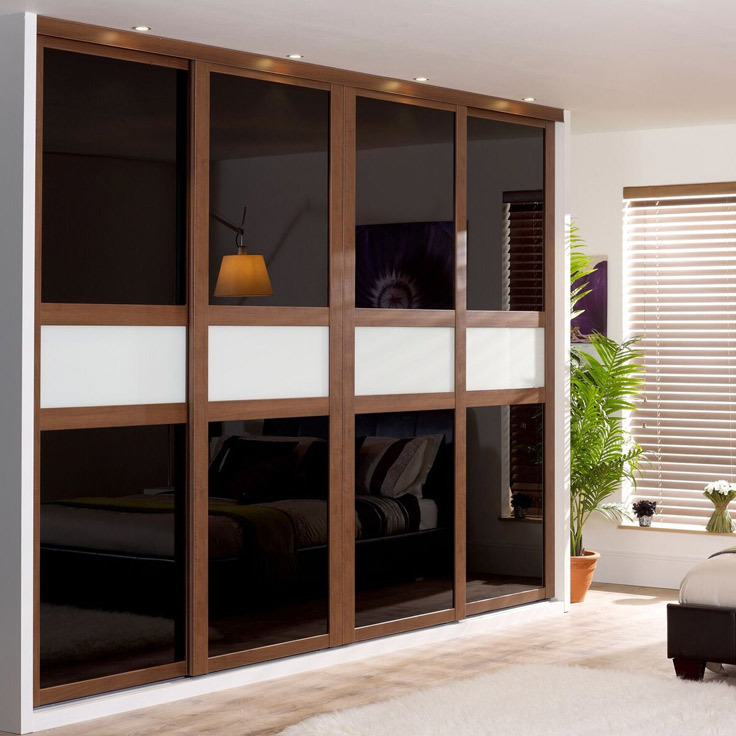 Either complement with matching wood effect panels or make a bolder statement with a contrasting wood colour or safety glass panels in any combination. 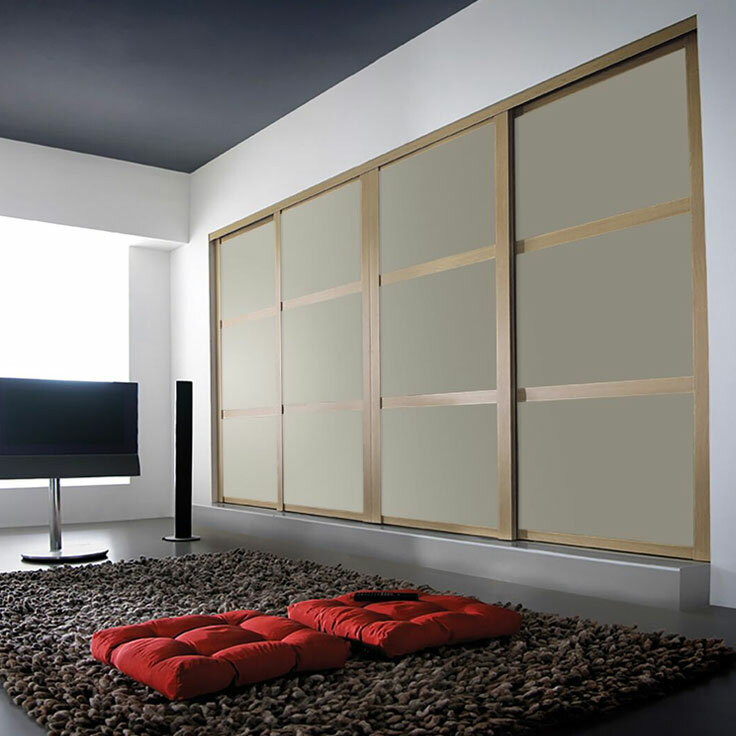 Let your imagination take over. 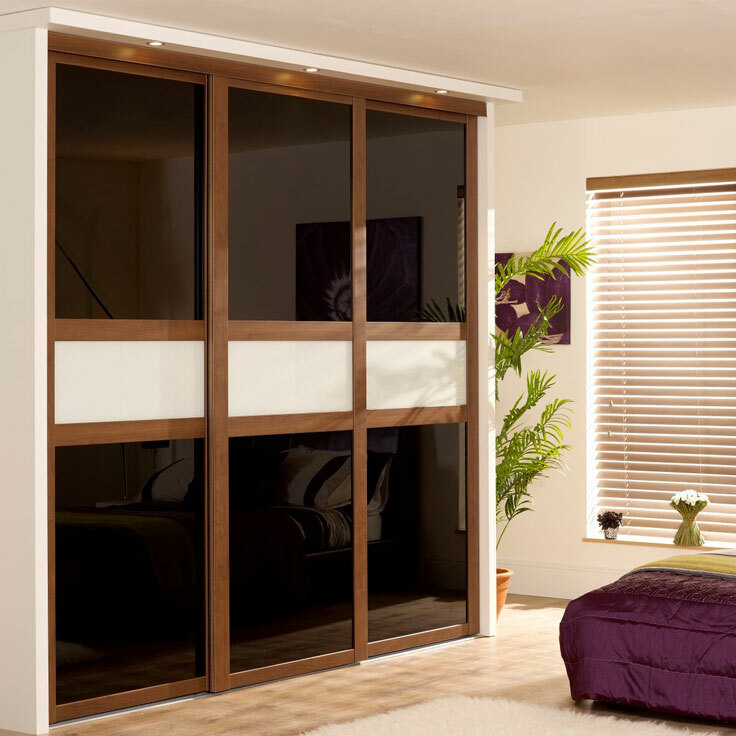 Precision, ball bearing wheels, bottom wheels featuring "anti-jump"
Our Shaker sliding doors are made to measure in our factory in Nottinghamshire, for opening heights between 1000mm and 2490mm and opening widths between 1061mm and 4570mm.